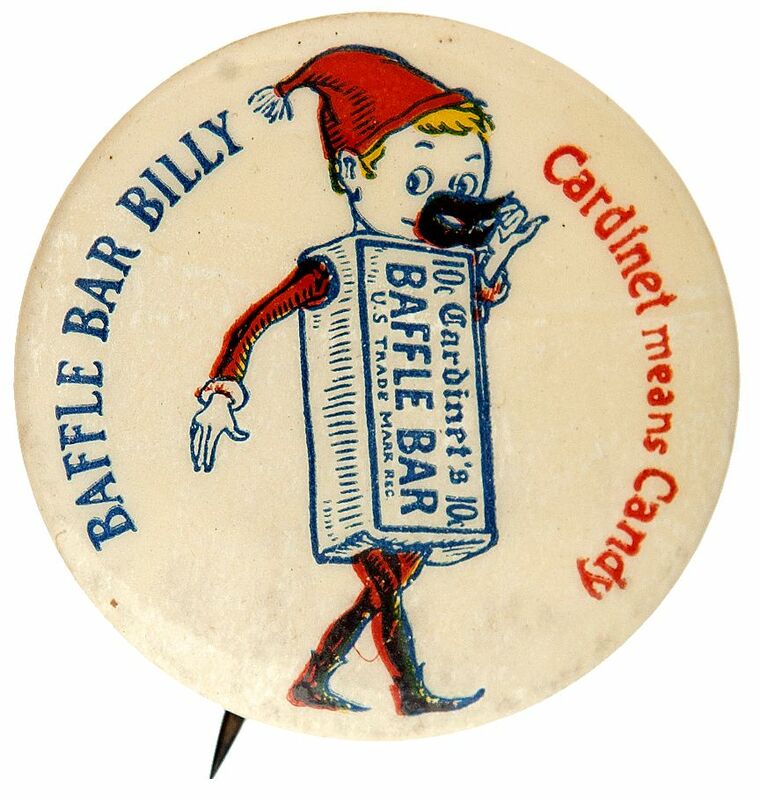 Item Detail - "BAFFLE BAR BILLY" RARE EARLY CANDY BUTTON. 1.25". Also reads "Cardinet Means Candy" with a pixie-like boy holding a mask with a candy bar as his body. C. 1920. Tiny age on back paper by Brunt, San Francisco. Rare. High gloss and Near Mint.